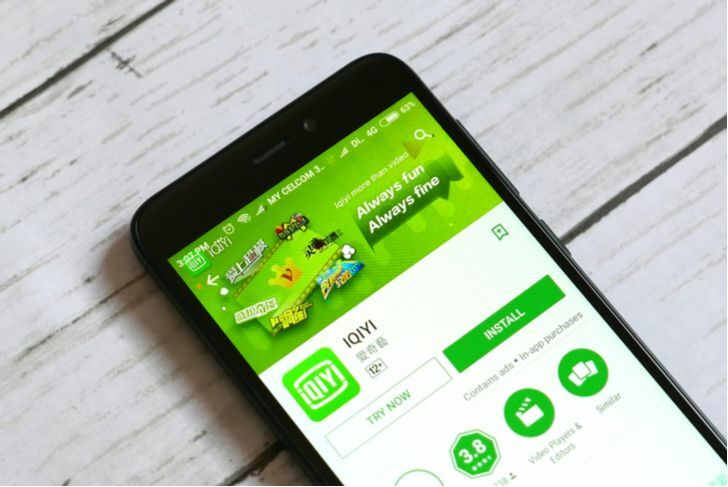 IQiyi (NASDAQ:IQ), like many Chinese tech companies, has performed very well in the wake of its initial public offering (IPO). In 2018, a bumper crop of Chinese internet companies carried out IPOs in the U.S. market. And, despite the trade war hype, these names, including IQ stock, have generally delivered strong returns. Four months ago, IQ stock was trading for about $18 per share. After a brief consolidation period, IQ stock went skyward. By June, the shares had reached their peak of $45. Since then, however, the waters have gotten choppier. Increasing concerns about the Chinese economy and tariffs have hit the Asian country’s stocks. On top of that, earnings misses in the tech space are causing many internet companies to slide. As a result, IQ stock has dropped to the low $30s per share level. Now IQ stock is set for another big move. On Tuesday, the company is expected to report its earnings, and the results should have a dramatic effect on IQ stock. More broadly, investors are still discovering the iQiyi story. Is the company another Chinese internet titan in the making or is it a pretender? Let’s take a closer look. In order to understand Chinese stocks more easily, American investors often compare Chinese companies to U.S. companies. For example, Baidu (NASDAQ:BIDU) is often referred to as the Chinese version of Alphabet (NASDAQ:GOOGL,NASDAQ:GOOG), while JD.com (NASDAQ:JD) is often compared to Amazon.com (NASDAQ:AMZN). Netflix is the American tech giant that is most similar to iQiyi. With more than 50 million paying subscribers and an average time per user of nearly two hours per day, iQiyi has user metrics that are similar to those of Netflix . Those types of numbers have made the owners of Netflix stock a fortune. But the comparison isn’t 100% fitting. For one thing, iQiyi has a substantial social media element that Netflix doesn’t have. Specifically, iQiyi allows its users to upload video and enables them to interact with other members, including celebrities, in various ways. Called iQiyi Paopao, the social component of iQiyi has more in common with Alphabet’s YouTube or Twitter (NASDAQ:TWTR) than Netflix. At its core, Netflix offers a private viewing experience, rather than a common area for sharing and networking. If paid streaming hits the same level of penetration in China that it has in the U.S., the Chinese paid streaming market would end up being worth more than $3 billion, with plenty of room to grow further. IQ’s results and IQ stock would likely jump tremendously if the Chinese market does reach that level. IQiyi cited market data showing that just 1.2% of Chinese online video users paid for content in 2012. In 2016, that figure rose to 13%, and in 2022 it’s forecast to grow to 40%. In 2016, by contrast, 28% of American online video users paid for content. Given the much larger overall population of China, iQiyi’s subscriber base can become massive within a few years. Will Baidu Help or Harm IQ Stock? One of the interesting elements of iQiyi is that Chinese search engine king Baidu owns a large amount of IQ stock. In fact, due to the dual-class structure of IQ stock, Baidu continues to control more than 93% of iQiyi’s voting rights following its IPO. In one important way, Baidu’s involvement is a major positive for IQ stock. As iQiyi notes, the two companies have agreed to help promote and cross-sell each other’s services. That’s significant because iQiyi needs a strong backer to take on the competition. Both Alibaba (NYSE: BABA), via Youku Tudou, and Tencent (OTCMKTS:TCEHY) have strong platforms that compete with iQiyi. Considering the fact that the online video market is far larger in China than in the U.S., it’s possible that more than one service will prosper in the Asian country. However, there’s a decent chance that the Chinese market will end up like the American sector, with one Netflix-like offering accumulating the lion’s share of the subscribers. On the other hand, investors should be cautious about the huge number of shares of IQ stock owned by Baidu. When one company has such a large, controlling position, it could run the business in a way that doesn’t maximize the benefits of minority shareholders. Particularly in China, where corporate governance issues are common, a 93% controlling stake could be problematic. Also, Baidu could start selling large amounts of IQ stock if the share price continues to rally. Since iQiyi is expected to report its earnings on Tuesday, there could be plenty of volatility ahead for IQ stock in the short run. A 10%-20% move in either direction would not be at all unusual for IQ stock. So, investors should understand that this is a risky play in the short-run. But IQ stock could ultimately pay out a huge reward, as the shares are still in the midst of their post- IPO rally. The float of IQ stock is relatively small, while Baidu is a strong partner, and the growth potential of the Chinese on-demand video market is huge. IQ stock could easily reach $50 per share this fall as the company’s momentum grows. As of this writing, Ian Bezek owned IQ stock and JD stock. Article printed from InvestorPlace Media, https://investorplace.com/2018/07/iqiyi-stock-could-reach-50-this-year/.